For Forza Horizon 2, Playground Games has teamed up once again with renowned festival organizer and BBC Radio DJ Rob da Bank to curate a massive and eclectic soundtrack ranging from rock and pop, to the latest dance and electronic music. There’s something to suit every driver and every mood – because who doesn’t love listening to music in their car, especially while cruising the exotic roads of Europe? You might recall Rob da Bank as the same DJ who curated the original Forza Horizon soundtrack, or as the mastermind behind Bestival – one of the largest music festivals in the world, located in the UK. For Forza Horizon 2, Rob approached the soundtrack in the same way he’d approach one of his own music festivals, from big names and classic tracks, to fresh new music and bands. As a result, some of the songs handpicked for the game have also made their way onto real-life radio playlists, festival stages, and club dance floors this summer. 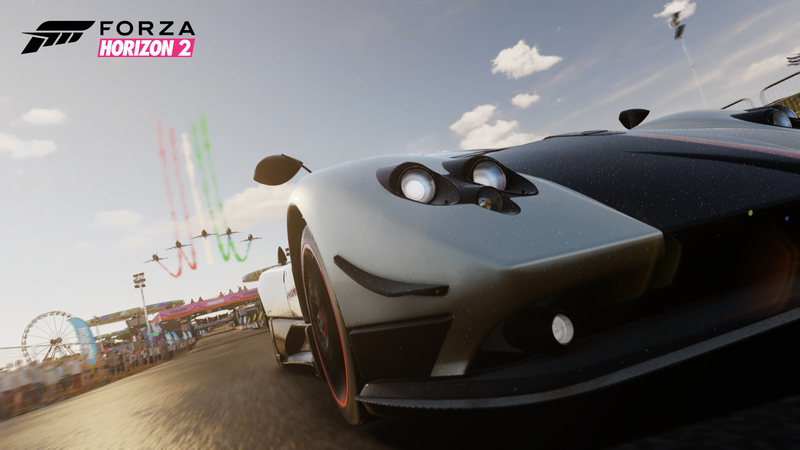 In fact, Forza Horizon 2 features nearly 150 tracks across seven stations – more than twice as many songs and stations as the original Forza Horizon. You’ll start the game with three of the Horizon Festival’s stations pre-tuned on your in-car radio: Horizon Pulse, Horizon Bass Arena, and a new station called Horizon XS. Get ready to listen to music from artists as diverse as Chromeo, CHVRCHES, Nero, The Clash, and Jane’s Addiction. As you progress through the game, you’ll unlock new stations with an even broader variety of music to accompany your European road trip. Rob da Bank also reached out to his friends in the music industry, to include radio stations from three of his favorite independent record labels from around the world: Hospital Records, Innovative Leisure, and Ninja Tune. Be sure to check out as-yet unreleased tracks “Believe” and “Slipstream” from Metrik on Hospital Records Radio; three brand new tracks from Bass Drum of Death’s upcoming album (releasing later this year), including “Electric”, “Everything’s the Same” and “Lose My Mind” on Innovative Leisure Radio; and last but definitely not least, unreleased new tracks like Roots Manuva’s “Krunk Guide” and Andreya Triana’s “Better Days To Come” on Ninja Tune Radio. We recently got a chance to chat with Rob da Bank regarding his work on the Forza Horizon 2 track list. Forza Horizon 2’s soundtrack – much like Rob’s personal taste – is an eclectic mix of songs that stand the test of time. With stations spanning multiple genres, racers can switch from rock to electro to classical, depending on their moods. Check out the Forza Horizon 2 music stations and full track list below. For a sneak peek at a few of the cool jams you can race to starting Sept. 30, check out the Best of Forza Horizon 2 playlist!